A tragedy unfolded over the weekend in north-west Turkey killing 10 people and injuring another 70 but state television expects those numbers to rise. The train was en route to Istanbul from the station at Kapikule on the Bulgarian border when six of the train carriages derailed. There were about 360 passengers on board the train when it derailed, according to state-run TRT Haber TV channel. Although an exact cause of the derailment is yet to be determined, officials believe bad weather and a landslide may be responsible for the deadly accident. Another report from CNN Turk said that a collapsed bridge was the reason the train crashed but these details have yet to be confirmed. 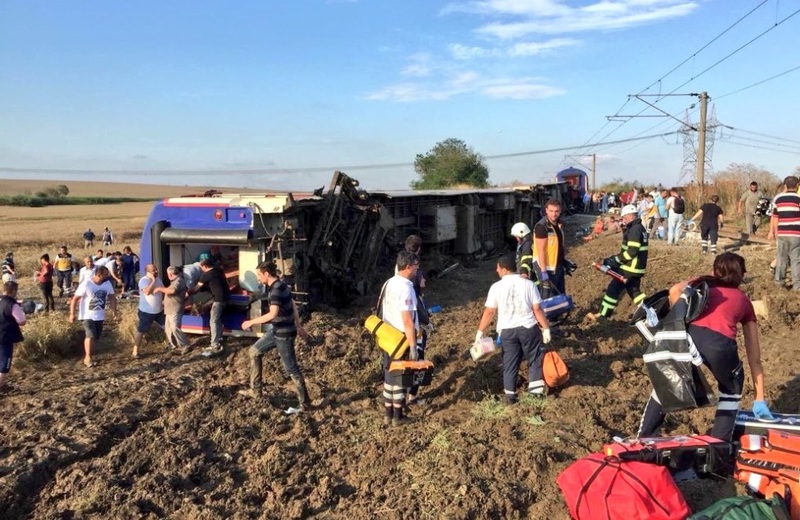 The part of Turkey that the train derailed is in the province of Tekirdag. The local governor of Tekirdag province said in a news interview that helicopters have been working nonstop to airlift the injured survivors away from the scene. Local media shared photographs from the scene of the derailment on social media where helicopters and emergency responders were working tirelessly to locate and treat the survivors. Turkish President Recep Tayyip Erdogan expressed his condolences for the victims and their families after learning of the crash from his ministers.